Marks & Spencer won acclaim for its Christmas campaign by Grey London featuring Paddington Bear - but making the partnership work required a deep understanding of the DNA of both brands, the retailer and agency have said. 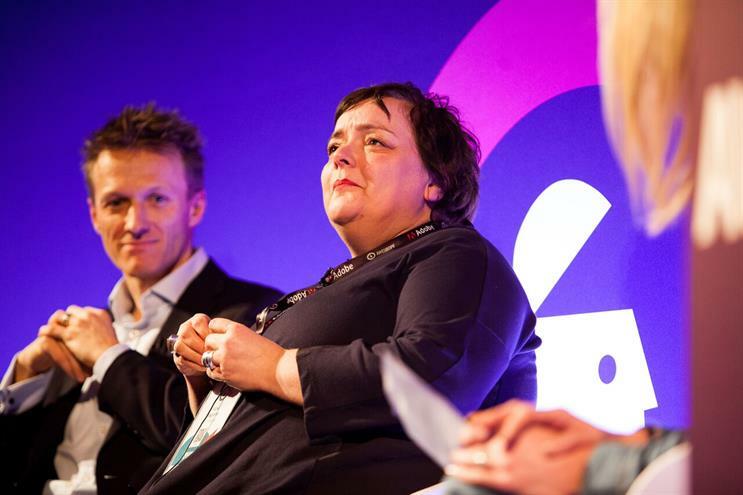 Consumers will always be able to spot when a partnership is being used cynically, Grey’s joint chief creative officer Vicki Maguire said. "From a creative point of view and a brand respect point of view, you have to be pointing in the right direction. If we are feeling a little bit icky, you know the customer – who has got the most power they’ve ever had – is going to call it out. Because it doesn’t feel right or authentic." She pointed to the partnership between Lego and Shell, which the toy brand ended in 2014 after a campaign by Greenpeace, as an example of an inauthentic collaboration. Following these principles had never been more important than when working with a beloved "icon" like Paddington, Maguire added: "‘You cannot be the brand that fucks with Paddington." Maguire was speaking on an Advertising Week panel on creative franchises with Rob Weston, director of brand and marketing at M&S, and Claire Heys, director of commercial brand partnerships at ITV. Weston said the producers of Paddington 2, release last November, had approached the retailer the previous year about working together, but the idea to create an original story for the character in an ad only came about some time later. Since the success of the campaign, "many other equivalent partners" have approached M&S about working together, he said. "Partnerships work brilliantly where two and two equals five," he said. "The foundation of values needs to be there for it to make sense for brands." He said that if he’d been approaching the collaboration again, he would have aimed to sort out contractual terms "much earlier" than happened in practice. Heys, who has negotiated brand partnerships for ITV hits including I’m A Celebrity, Coronation Street and The Voice, said it was important to exercise caution before entering into a collaboration and ensure both sides know what they want to get out of the arrangement. "People are content hungry, but don’t know what they want to do with it," she said. "As we all know, content is dictated by the platform it goes on in terms of length and tone." Consumers would also have expectations that needed to be met by brand and media partners she added – saying they had been unprepared for the demand to buy Love Island-branded products in Superdrug, the main sponsor of the reality show. This is being rectified for this year’s series, she said. "If you get that partnership right in the eyes of the public, they are going to want to see that in the real world."